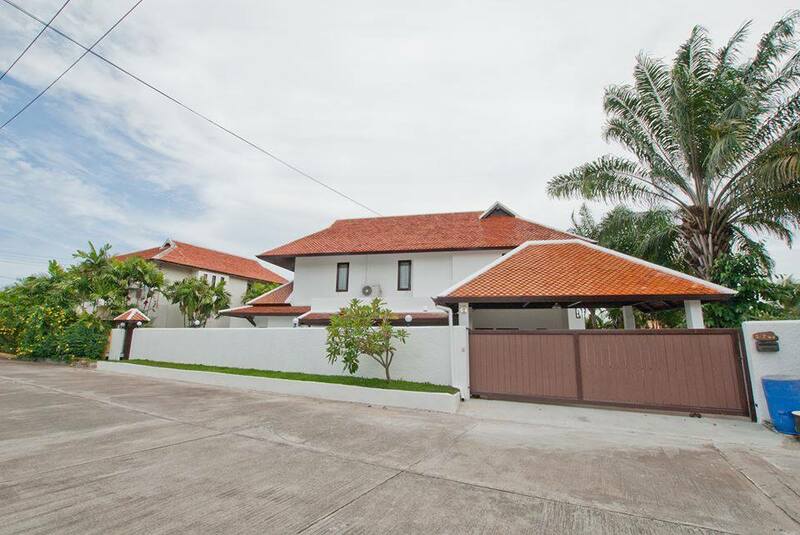 This wonderful 2 bedroom villa with private pool and garden is located in walking distance to Ao Nang Beach. The villa is fully furnished with western kitchen and 2 western bathrooms. To view 360 degrees photos of this villa, please visit our Facebook page HERE! The walk down to the beach is lined with shops, restaurants and bars, making this one of the best located properties for those who enjoys evenings out. The house itself is very comfortable, featuring an open plan living area with kitchen corner on the ground floor, and two bedrooms (one double and one twin) upstairs, each with en-suite bathroom (rain shower). The lounge ??? air-conditioned with a full home theatre system ??? looks out over a small paved garden area with a private swimming pool. A WI-FI internet connection is available throughout the house and garden. A popular bungalow resort is the immediate neighbour of this property, ensuring security and also room service meals if required. Monthly Rent: 55,000 THB 40,000 THB long term only - 6 to 12 months.